Serving families with adoption airfare discounts for their international adoption travel. We are excited to help you with your Adoption Travel, International Missions Travel, Heritage Travel, Group Travel, and Orphan Care Travel. Our agents at Adoption Airfare® seek to hold your hand through every step of your Adoption Travel journey. We have special DISCOUNTED FLIGHTS with many of the major airlines, to provide discounted airfare for International Adoption Travel and Missions Travel. We seek to maintain a high level of integrity and morality in everything we do. Therefore, we will be glad to serve you to the best of our ability with your travel needs, as long as it doesn’t violate our conscience, and isn’t immoral according to the Bible. SPECIAL DISCOUNTED AIRFARE RATES FOR INTERNATIONAL MISSIONS AND ADOPTION TRAVEL WORLDWIDE! BOOK WITH ADOPTION AIRFARE® TODAY! Please call us to allow our experienced agents to help you plan your trip today! 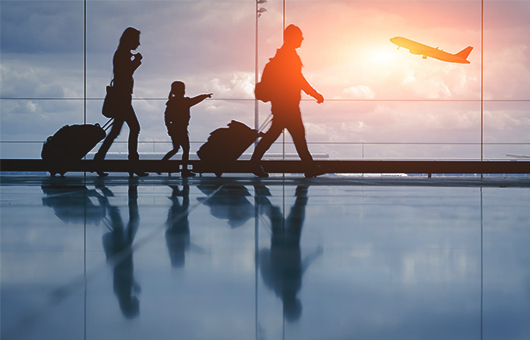 Let us at Adoption Airfare® help you in taking the burden of booking flights off of your plate so that you can focus on the other aspects of your Adoption Travel and Missions Travel! We have the ability to hold flights with certain airlines for up to 11 months in advance in some cases, to help you in raising your support, sometimes even with no money down! We also specialize in GROUP TRAVEL, and we can also hold group space with the airlines for groups traveling to do any type of humanitarian or orphan care work internationally. Through our experience serving adopting families, we have gained special knowledge of the countries which are open for international adoptions, and are equipped to take care of your special travel needs. Some of our Humanitarian Flights flights have reduced penalties and refund ability for the times when flight changes are needed. Adoption Travel is very unpredictable at times, and having flexible flights really helps when those unexpected changes take place! We seek to understand each family and their specific needs and preferences with their Adoption Travel and provide personalized care, prayers, and service to each family the Lord sends our way. Please fill out a quote on our AIRFARE QUOTE PAGE and allow us to work until we find the exact flights that you need for your International Adoption Travel or Missions Travel. It is our JOY to serve you and answer your questions each step of the way!